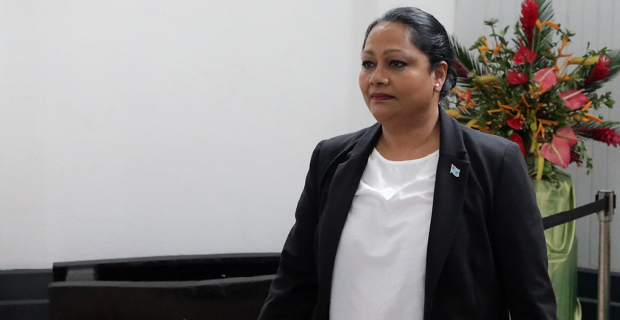 Questions sent to the Minister for Local Government Premila Kumar in relation to a major delay concerning a multi‑million dollar project in Nausori remains unanswered. We sent questions to Kumar on the 13th of last month. This is in relation to the construction work of the $40 million complex at the old Nausori Market site by Shop and Save Limited. Shop and Save was awarded the tender in May 2015 and the deal was that they will also be subleasing the site for the next 50 years. To date, no physical work has been seen on the site as we approach the four‑year mark since the tender was awarded. The Acting CEO of Nausori Town Council, Deo Narayan had earlier said that he is not in a position to release any information in relation to this issue. We have asked as to when the construction will start, what is delaying this project and whether Shop and Save Limited has made necessary payments as they were awarded this tender in 2015. Part of the deal was that Shop and Save Limited will be required to pay a premium of $2 million to the Nausori Town Council and an annual rental of $100,000 per year which shall be reassessed and increased by 10 percent at the interval of every five years. The then Minister for Local Government, Praveen Bala who had made the announcement in 2015 had said that the rental for the first ten years shall be paid in advance. It was said in 2015 that the complex will have hotel apartments, a cinema, conference rooms, supermarkets and 350 parking spaces.